We are the result of Freya and her family whose experience in the selection process of Freya’s very own wedding dress has inspired the opening of Daughter Of Eve. ‘Daughter Of Eve’ is the title given in tribute to Freya’s Grandmother, Odette Eve. ‘Daughter Of Eve’ honors the female descent from the first woman in creation, as described in the Bible story of “Adam & Eve” in Genesis. Freya was born in London England and studied Art and Design at the prestigious B.R.I.T. School alongside many successful artists and performers seen in the public eye today. As a young girl, Freya spent many summer vacations in the English countryside with her grandparents, Odette & Gaston Eve. Notably, the most sentimental moments for Freya where spent learning art from her Grandmother and practicing the art of bobbing hand-made lace. At 28 years old, Freya moved to Phuket in Thailand to live near the beach and enjoy warmer, brighter surroundings. In 2013 Freya and her family began preparations for her wedding, they discovered that the wedding dress brand that she dreamed to have, was not available to buy in Thailand and so Freya travelled abroad to look for her dream dress. Eventually after a lot of searching, Freya found her dream wedding dress. 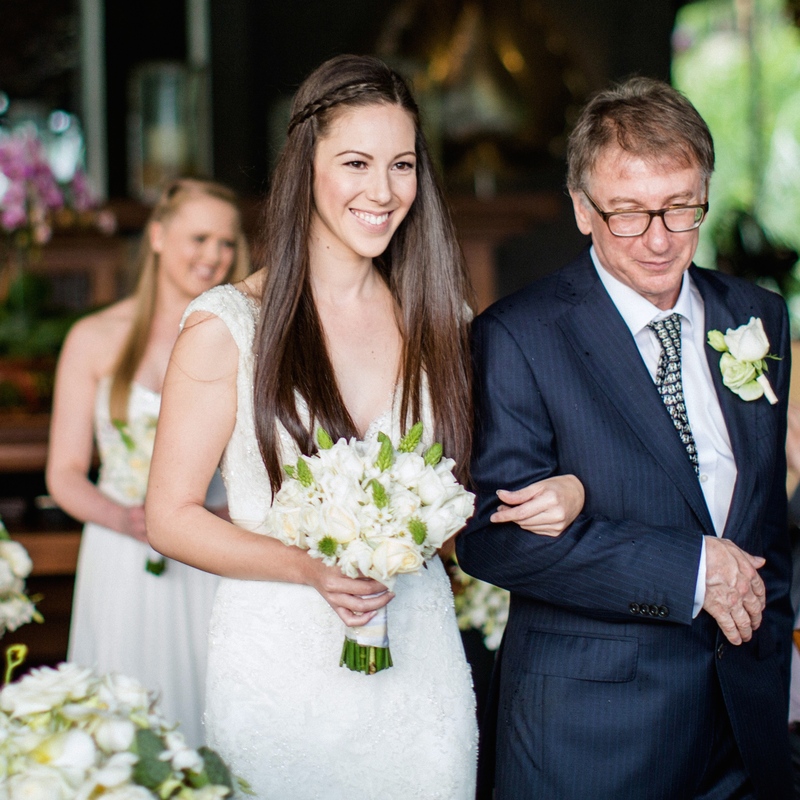 The embellishment and lace on her wedding dress was so beautiful that Freya felt overwhelmed by sentimental memories of bobbing hand-made lace with her grandmother: this moment inspired Freya to open the first luxury multi-label boutique for brides in Thailand. Freya has been a Christian for over 20 years and selects fashion-forward dresses that brides love to wear for a western style wedding ceremony. Freya Eve also owns Heaven Lingerie, a luxury lingerie boutique. After helping many brides to find their dream wedding dresses, she was asked to recommend lingerie for their special day. Freya discovered that quality, imported lingerie was difficult to find in Thailand, as well as being extremely overpriced. So Heaven Lingerie was created, offering luxury lingerie to all women, at an affordable price, making them feel elegant and feminine every night. With a stylish boutique in Phuket, Thailand, Heaven Lingerie customers can spend time choosing from the most stunning collection of lingerie. Welcomed by experienced and helpful staff in gorgeous surroundings, customers are welcome to use the large comfortable fitting room. Private appointments can also be made for ultimate privacy and personal attention – at no extra cost.